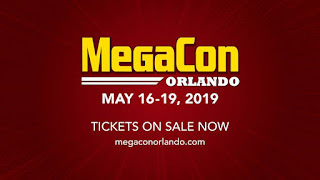 Orlando, FL – February 1, 2019 – MEGACON™, the Southeast’s largest fan convention returns to the Orange County Convention Center Thursday, May 16 through Sunday, May 19, 2019. This year, MEGACON™ Orlando expects to welcome more than 100,000 fans throughout the weekend with a star-studded lineup of celebrity guests and endless programming. Fans will be amazed by a very rare reunion featuring the entire the Back To The Future cast including Michael J. Fox, Christopher Lloyd, Lea Thompson, Tom Wilson and James Tolkan. Other celebrity guests slated to appear include Jason Momoa (Aquaman), Pamela Anderson (Baywatch), David Harbour (Hellboy, Stranger Things), Sean Astin (Goonies, Lord of the Rings), Mike Colter (Luke Cage), Mark Sheppard (Supernatural), and Lana Parrilla (Once Upon a Time). More exciting celebrity appearances will be announced leading up to the four-day event that also features family-friendly activities, shopping, workshops, enhanced anime programming, costume contests and attractions like the photo ops with the Back To The Future Delorean, Tattoo Alley and more. MEGACON™ Orlando is the Southeast’s largest comic, sci-fi, horror, anime and gaming convention. In 2018, more than 100,000 fans attended MEGACON™ Orlando at the Orange County Convention Center. For 2019, the show is on new dates on the weekend before Memorial Day Weekend. MEGACON™ Orlando’s limited four-day passes and single-day tickets are available for purchase at www.megaconorlando.com/tickets starting at $20. A new youth ticket has been introduced for fans aged 13-17 years old. 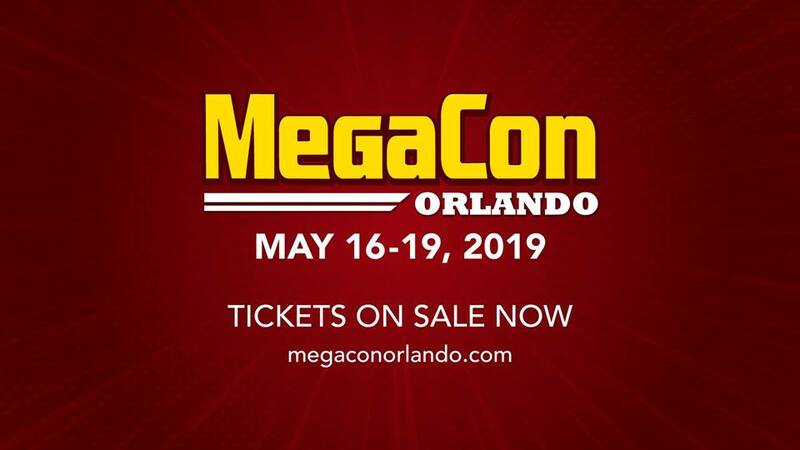 For a complete list of programming, guest announcements, and tickets, visit: www.megaconorlando.com. MEGACON™ Orlando is owned by FAN EXPO HQ, one of the largest entertainment convention groups in North America. Collectively it hosts over 500,000 fans annually at FAN EXPO CANADA™, Boston Comicon, FAN EXPO VANCOUVER™, FAN EXPO REGINA™, FAN EXPO DALLAS™, Toronto ComiCon, Dallas Fan Days and MEGACON Tampa Bay.